Before you travel anywhere by public transport, pick up free maps of the métro (underground), bus and rail systems around Paris (available at airports and stations). Other useful brochures from métro stations are Paris Visite – Le Guide, with details of transport tickets and a small map, and Plan de Paris, a fold-out one showing Noctambus night bus lines. Almost all of the Paris public transport system is run by the RATP (Régie Autonome des Transports Parisiens; 08 92 69 32 46, www.ratp.fr): the bus, métro (underground) and suburban tram routes, as well as lines A and B of the RER (Réseau Express Régional) suburban express railway, which connects with the métro within the city centre. National rail operator SNCF (08 92 35 35 35, www.sncf.com) runs RER lines C, D and E, and serves the Paris suburbs (Banlieue), and French regions and abroad (Grandes Lignes). Paris and suburbs are divided into six travel zones; zones 1 and 2 cover the city centre. RATP tickets and passes are valid on the métro, bus and RER. Tickets and carnets can be bought at métro stations, tourist offices and tabacs (tobacconists); single tickets can also be bought on buses. Hold on to your ticket in case of spot checks; you’ll also need it to exit from RER stations. A single ticket T+ costs €1.90, but it’s more economical to buy a carnet of ten for €14.50. A one-day Mobilis pass costs from €7.30 for zones 1 and 2 to €17.30 for zones 1-5 (not including airports). 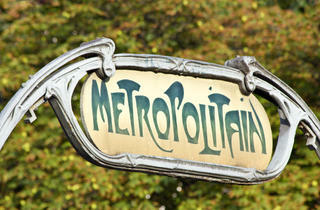 A one-day Paris Visite pass for zones 1-3 is €11.65; a five-day pass is €37.25, with discounts on some attractions. One-week or one-month Navigo pass (passport photo needed) offer unlimited travel in the relevant zones and is delivered as a Navigo swipe card. A forfait mensuel (valid from the first day of the month) for all zones costs €73; a weekly forfait hebdomadaire (weekly Carte Orange valid Mon-Sun inclusive) for all zones costs €22.15 and is better value than Paris Visite passes. 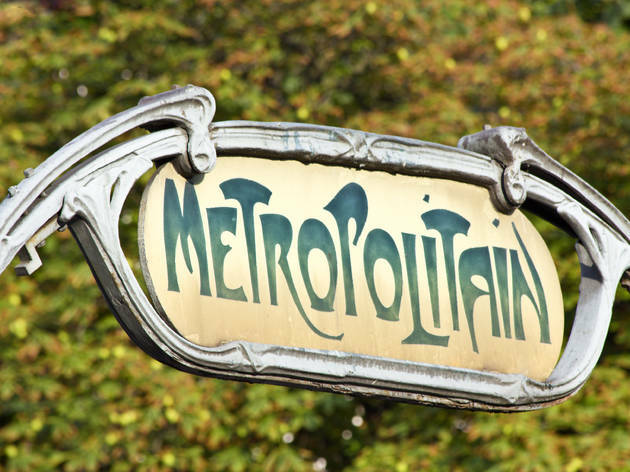 The Paris métro is the fastest and cheapest way of getting around. Trains run 5.30am-12.40am Mon-Thur, 5.30am-1.30am Fri-Sun. Individual lines are numbered, with each direction named after the last stop. Follow the orange Correspondance to change lines. Some interchanges, such as Châtelet-Les-Halles, Montparnasse-Bienvenüe and République, involve long walks. The exit (Sortie) is indicated in blue. The driverless line 14 runs from Gare St-Lazare to Olympiades. Pickpockets and bag-snatchers are rife on the network – pay special attention as the doors are closing. Nord is one stop on the RER, and six on the métro. Métro tickets are valid for RER journeys within zones 1 and 2. Buses run 6.30am-8.30pm, with some routes continuing until 12.30am, Mon-Sat; limited services operate on selected lines Sun and public holidays. You can use a métro ticket, a ticket bought from the driver (€1.90) or a travel pass. Tickets should be punched in the machine next to the driver; passes should be shown to the driver. When you want to get off, press the red request button. After the métro and normal buses stop running, the only public transport – apart from taxis – are the 42 Noctilien lines, between place du Châtelet and the suburbs (hourly 12.30am-5.30am Mon-Thur; half-hourly 1am-5.35am Fri, Sat); look out for the Noctilien logo on bus stops or the N in front of the route number. A ticket costs €1.90; travel passes are valid. River buses stop at: Eiffel Tower, Musée d’Orsay, St-Germain-des-Prés (quai Malaquais), Notre-Dame, Jardin des Plantes, Hôtel de Ville, Louvre, Champs-Elysées (Pont Alexandre III). Boats every 25 minutes in high season (Mon-Thurs 10am-5pm, Fri-Sun 10am-9.30pm), every 40 minutes in low season (Mon-Thurs 10am-5pm, Fri-Sun 10am-7pm). A one-day pass is €17(€11 for Pass Navigo holders) with unlimited hop-on, hop-off. €60 for an annual pass (€40 for Navigo Pass holders). Tickets can be bought at Batobus stops (08 25 05 01 01, www.batobus.com), RATP ticket offices and the Office de Tourisme (www.parisinfo.com). Two modern tram lines operate in the suburbs, running from La Défense to Issy-Val de Seine and from Bobigny Pablo Picasso to St-Denis; a third runs between the Garigliano Bridge in the west of the city to Porte d’Ivry in the south-east. They connect with the métro and RER; fares are the same as for buses.